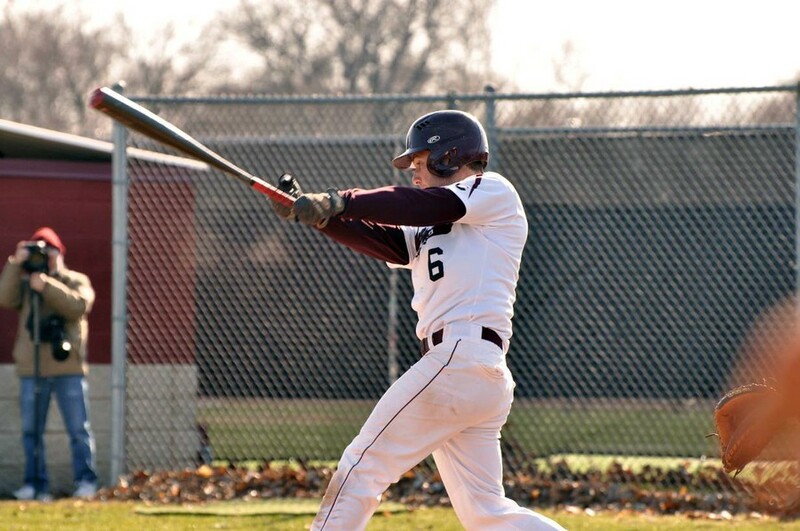 Fourth-year second baseman and captain Dylan Massey helped the Maroons come out with a winning record this past weekend against Monmouth College and North Central College. This past Saturday afternoon, the Maroons triumphed over Monmouth in a doubleheader, beating the Scots 3–2 in the first game and 5–4 in the second game. Chicago’s pitchers stepped onto the field ready to play. But it was Massey who stood out against Monmouth, leading Chicago’s offense. “Dylan Massey really was the reason we were able to win both games. He provided great production offensively with timely hits and stolen bases, including his home run in game two,” said second-year pitcher Alex Athenson. Massey amassed five hits in six at-bats on the day, including a home run, three RBIs, and four stolen bases. “Dylan had two big games for us. He really was a catalyst that helped put us in good situations to score,” Wagner said. Despite Massey’s standout performance, he was not the only one who showed up offensively. “We had some clutch hitting with runners on base. We all had good at-bats and had some bottom-of-the-lineup contributors,” said second-year catcher Tim Sonnefeldt, who had two hits on the day. The Maroons held the lead throughout game one. In game two, Monmouth took a 3–0 lead that Chicago eventually overtook, 4–3. In the sixth inning, the Scots tied the game, but third-year third baseman Andrew VanWazer knocked in the walk-off run on a single in the seventh, giving the South Siders the victory. “Great at-bats and timely hitting helped us win the game. [Third-year pitcher] Anthony DeRenzo, VanWazer, and Massey had RBIs in situations where we needed them to produce. [Third-year center outfielder] Eddie Akers had a great at-bat in game two to score a run and keep the inning going, allowing us to score two and work our way back to eventually tie and win the game,” Wagner said. Despite their two victories, the Maroons dropped their final game of the weekend to North Central the following Sunday afternoon, losing 4–1. Chicago’s offense was kept at bay by North Central’s pitching. The Maroons were shut down offensively and could not capitalize on key opportunities. “North Central’s pitching stifled us and limited us, especially when we had runners on base and were threatening to score,” Wagner said. The Maroons went 8-for-34 (.235) as a team on Sunday, as compared to 18-for-52 (.346) in the previous two games. “We just couldn’t find a way to break the game open, offensively. We had multiple opportunities with runners in scoring position and less than two outs, and we were unable to come up with those big hits,” Athenson said. This week Chicago will take on No. 3 Concordia, who will be one of the toughest opponents the Maroons will face this season. “If we play good baseball, I have no doubt that we can beat them. They are definitely overlooking us, so it would be awesome to beat them, as the underdog. We need to focus on timely hitting, which is something we have been struggling with all year,” said second-year pitcher Pat McManus. The Maroons face off against Concordia this Wednesday at home. Chicago will toss the first pitch at 3 p.m.